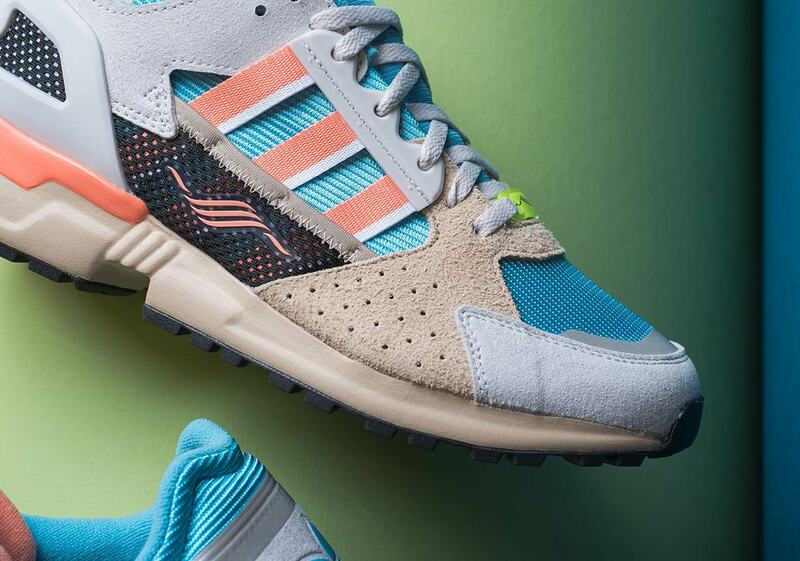 The classic adidas ZX line is enjoying quite a revival as of late thanks to the ZX 10.000C. 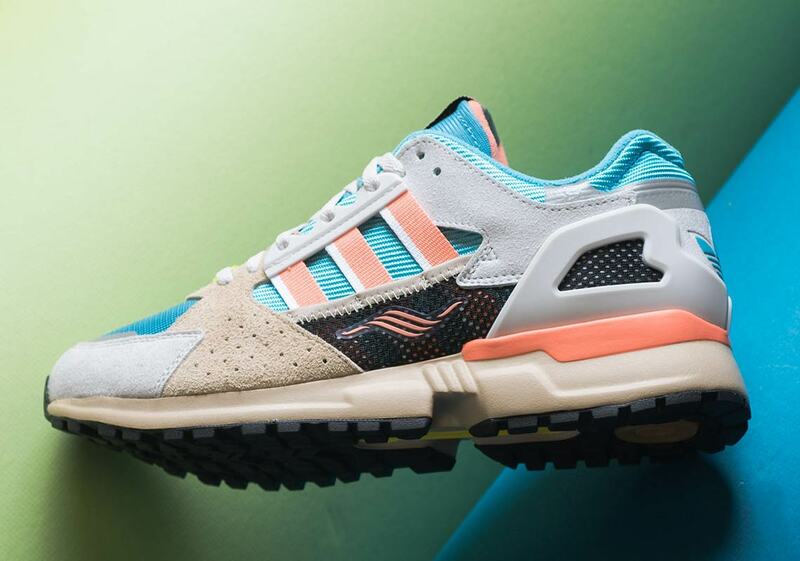 After first re-appearing via an Overkill-exclusive “I Can If I Want” collaborative edition, it’s now released in a loud and colorful makeup. 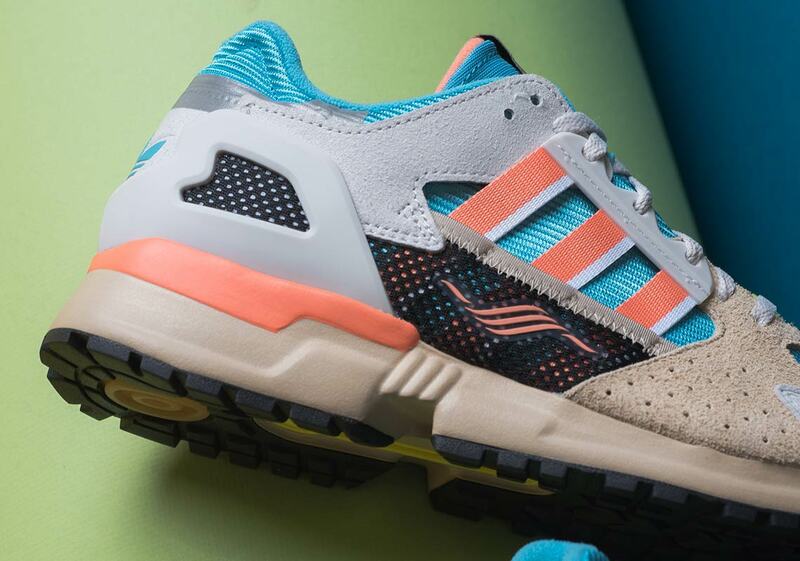 First teased at the “ZX: Roots Of Running” exhibition this past fall, this ZX 10.000C features a mix of tones both earthy and airy for a look that’s retro and brand-new all at the same time. 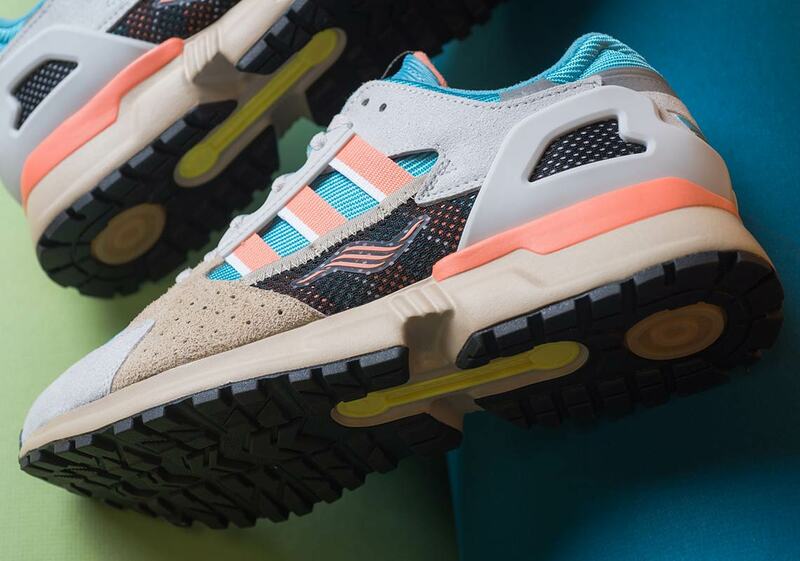 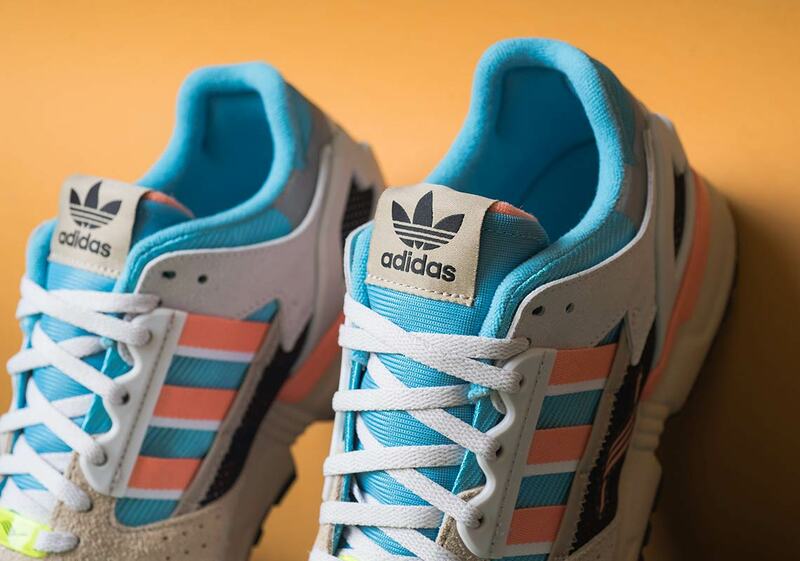 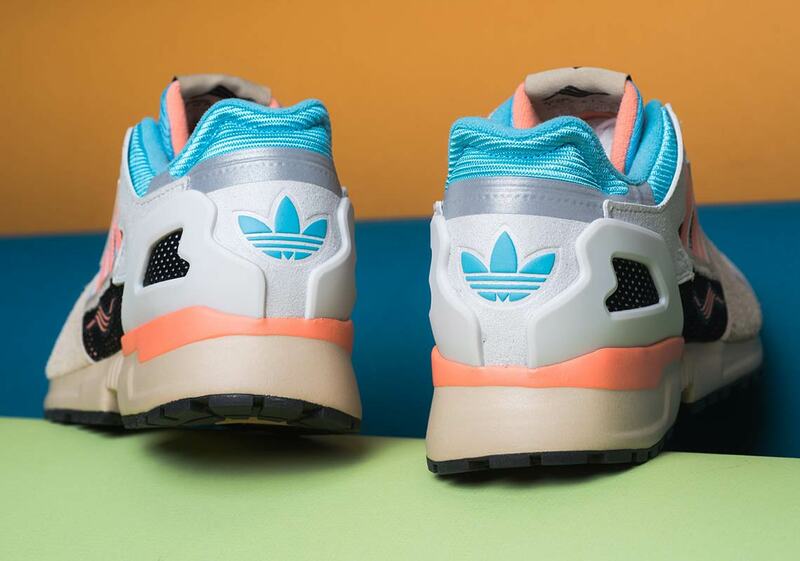 Using tans and browns as the base, a plentiful scoop of colorful accents is doled out via an almost cotton candy-esque combo of light sky blue and coral orange on the midfoot and toebox. 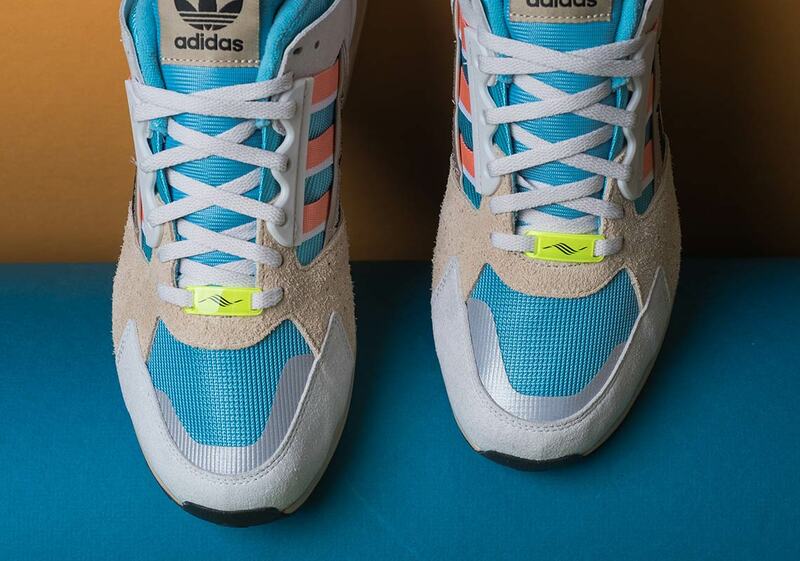 The fusion of styles is then continued down below, as tan and orange also join forces on the midsole. 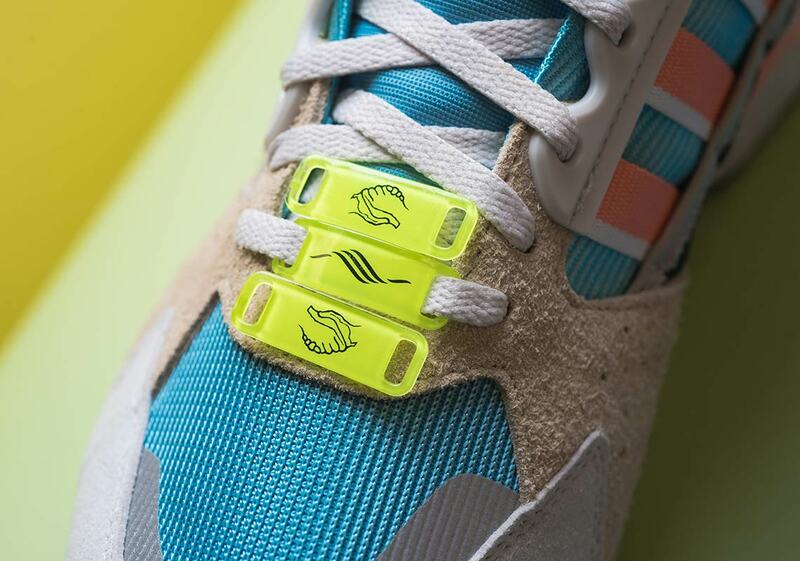 Black mesh makes a brief appearance on the quarter, and the shoe is then completed by a set of interchangeable neon yellow deubres — allowing the wearer to choose between an adidas Running logo or the adidas Consortium handshake graphic. 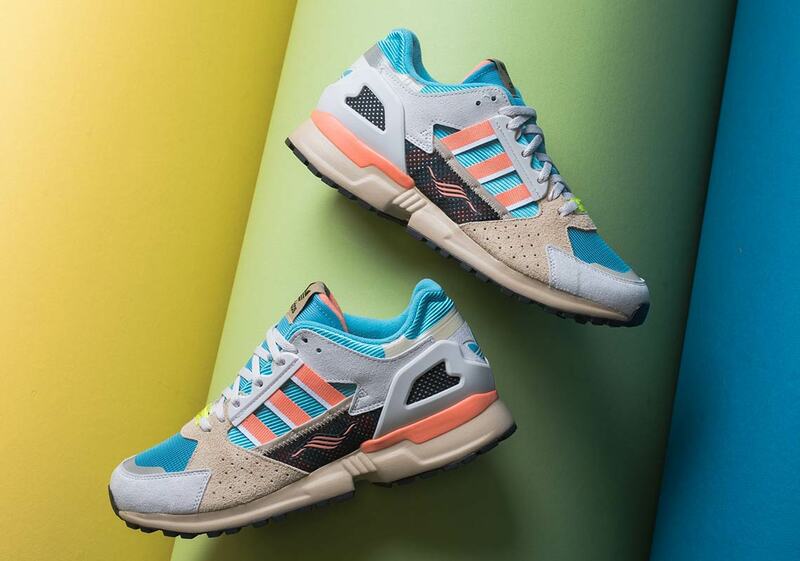 If you’re looking to add a healthy shot of retro running style to your sneaker lineup, these colorful new ZX kicks are available now at stockists like Sneaker Politics for $160 USD.